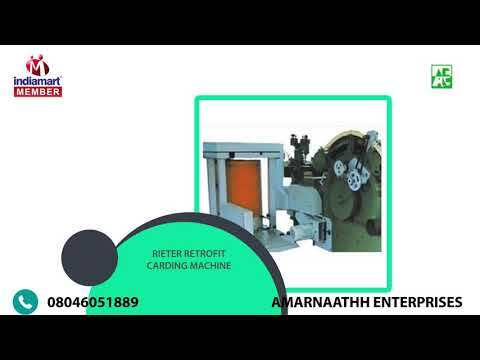 Amarnaathh Enterprises is the most trusted name among the topmost companies in the market and came into existence in the year 1998 as a Partnership based firm. The headquarter of our corporation is located at Coimbatore. We are involved in manufacturing and trader a wide range of Carding Machine, Gearless Apron Doff and many more. Offered products are extensively demanded by our clients for their impeccable quality.